Each spring the City of Blaine Safety Services Division and the Spring Lake Park - Blaine - Mounds View Fire Department host an annual bike helmet fitting and sales event to promote the safety of bicyclists in the community. The first event this year is coming up on Saturday, March 30 from 9AM - Noon at Blaine City Hall. No appointment is necessary and everyone is welcome. Helmets are $10 a piece, check and cash are accepted. License plate thefts continue to be reported. Prevent it by replacing the current screws that are holding it in place with anti-theft type screws which can be found at most auto supply stores. Reports of catalytic converter thefts from vehicles are also increasing. This is harder to prevent. There are some prevention items on the market but the best advice is to park in a well lit area with security cameras. Incidents of egging houses and ding dong ditch have been reported. While annoying, it also speaks to what teens may be doing when they are out hanging with friends. If you have teenagers at home consider having a chat with them about why this type of activity. Remind them that more residents are installing doorbell and exterior cameras, which means the person doing ding-dong ditch may be identified. What does a Medicare scam sound like? Hear a recording of a Medicare scam, https://youtu.be/51I-szr0JEY. If you have an elderly parent or friend, talk to them about what to do when an unknown person calls and asks for money. Often times they may pretend to be a grandchild, a friend or lawyer who says the grandchild needs help. It’s all fake. If in doubt, ask them to call you before they send any money. 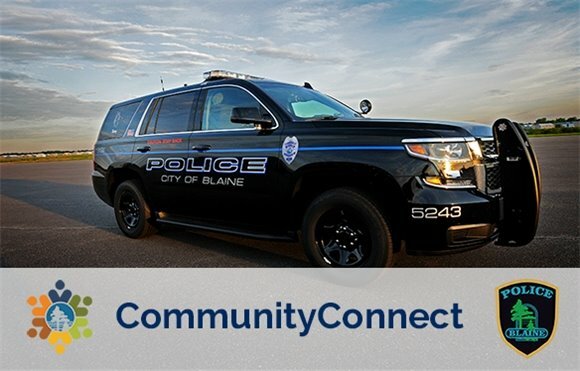 Community Outreach Specialists from the Blaine Police Department are available to speak to senior groups on the various types of scams known to law enforcement. Call 763-785-6186 to set up a visit. What, if any crimes are in your area? The city has an interactive crime map with recent crime data. More information, Blaine crime map.